A very different "Ant Plant", this species does not actually house ants but typically grows in ant "gardens", it's roots helping to knit the fabric of the nest together. 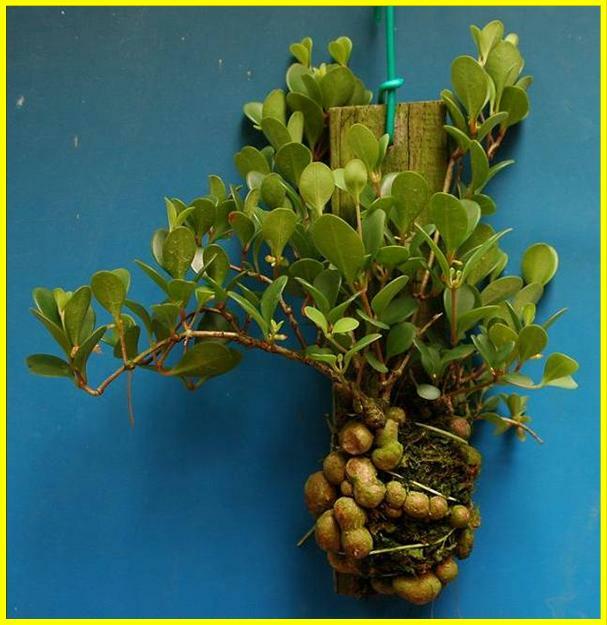 Swollen nodules among the roots add character to an already attractive plant. Dime sized leaves and a fine branching habit make this epiphyte good for most terrarium sizes. 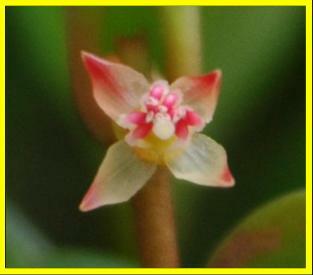 The plant also produces tiny pink and white flowers, completing the display. These are very nice additions to the greenhouse or terrarium, perhaps even on a bright windowsill. Available plants are young but vigorous, mounted plants.